Gold-tone and oxidized stainless steel. Exclusively ours. 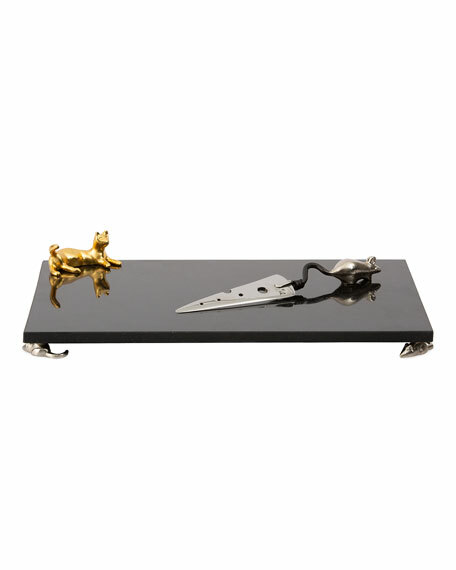 Black marble cheese board with stainless steel knife. Natural oxidized brass and white enamel trim. Black nickel-plate. Board, 18.5"W x 10"D x 2"H. Knife, 7.25"L. Hand wash. Imported. Exclusively ours. Handcrafted footed platter. 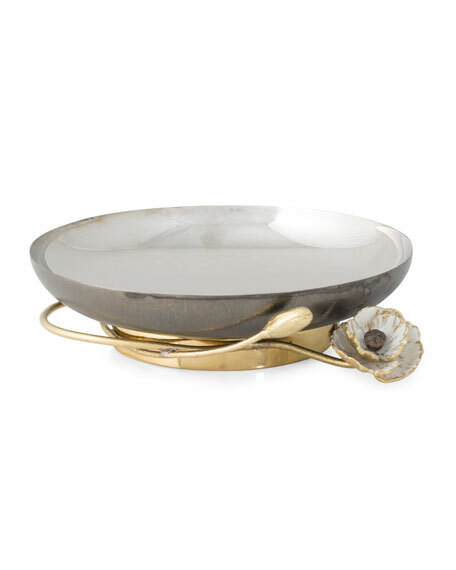 Crafted of hand textured stainless steel, black nickel-plate, natural oxidized brass and white enamel. 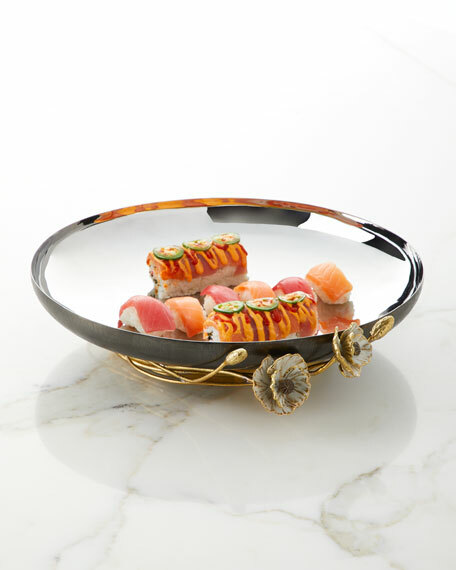 Overall, 17.25"L x 15.25"W x 3.25"T. Platter, 15.25"Dia. Hand wash. Imported. Platter crated of hand textured stainless steel. 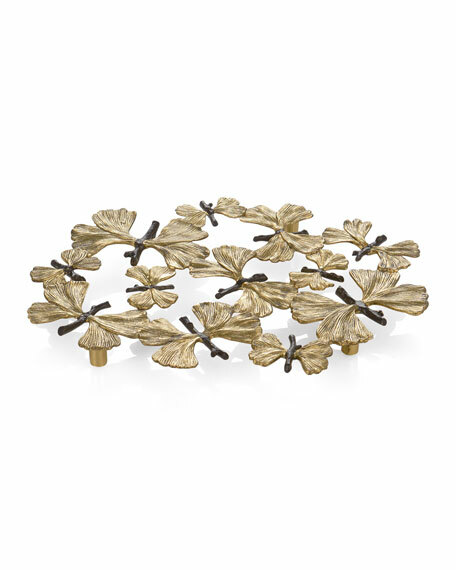 Natural oxidized brass and white enamel base. Black nickel plate detail. Overall, 10.25"W x 9"D x 2.25"T. Platter, 9"Dia. Hand wash. Imported. 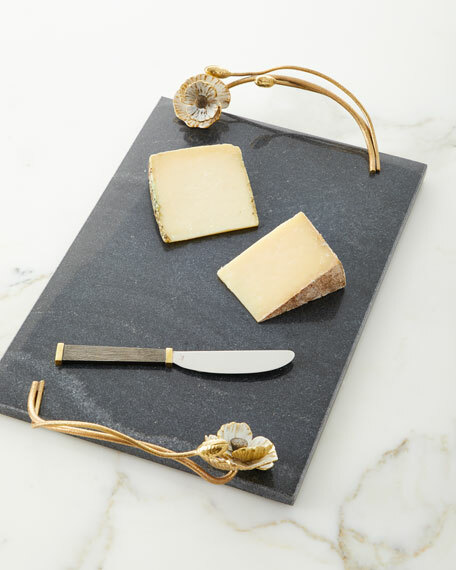 Handcrafted granite cheese board. 24-karat gold plated and nickel-plated trim. Stainless knife: 9.5"L. Board: 15"L x 10"W x 2.25"T. Hand wash. Imported.